Contact us now for your School Uniform quote. A smart uniform, displaying the school logo, fosters team spirit among students and promotes your school in the community. We can decorate your school uniform by means of Embroidery, Screen Printing and Digital Printing. As well as the everyday school uniform and PE kit, we can supply additional clothing and accessories, popular for school trips and after-school activities. We will be happy to supply directly to your students’ families, as well as issuing your school with the stock you require. 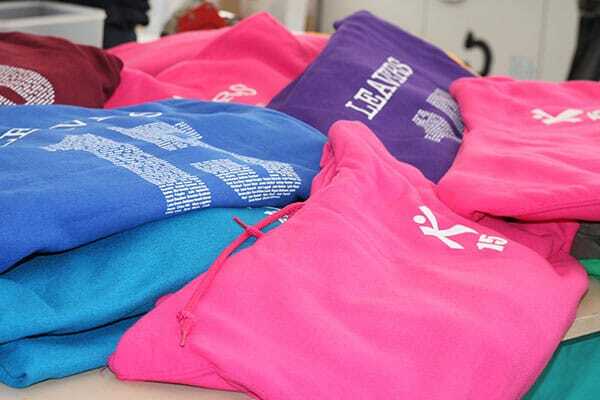 Our most popular product for school being the recently popular Leavers Hoodies.